Sewer drain cleaning services are a useful method of avoiding unexpected, future pipeline repairs. Pipe Surgeons are in your Hollywood area and we highly recommend scheduling routine pipeline inspections and maintenance. When we arrive on your property, the hydro jetting process uses highly pressurized water, a flexible hose, and a rotating, water jetting nozzle to scour and scrub clean the inside wall of the pipeline. 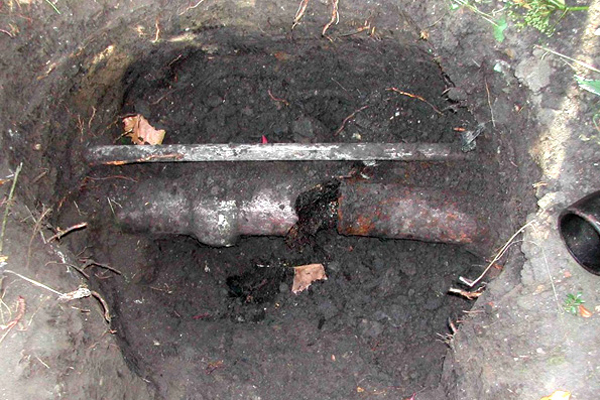 Blockages that are inside of the pipeline are burst apart and washed away, including dense tree root formations that have become tangled inside of the drain. Because the water pressure is directly managed by our technicians, the cleaning process is significantly sped up as a result of the trenchless-based equipment and technology we use to remove clogs and corrosion inside of your pipes. When the hydro jetting process has been completed, we will conduct a camera inspection of your pipes. After the scale buildup has been removed, our camera inspection will allow us to identify cracks that may have been hidden behind the scale. Cracks need to be treated as soon as possible, as they will only increase in size over time and could lead to a complete break. If we find corrosion beneath the waste buildup, we will conduct additional cleaning services to remove the corrosion and take steps to rehabilitate the inside of your pipes. Our cleaning services offer our customers many benefits by being affordable and reliable, but they also serve multiple purposes as well. Not only can obstructions within the pipe be carefully removed, but we also can also prepare the pipe for any additional repairs or lining services. Hydro jetting restores the diameter of the pipe back to its default size and smoothness so that, if cured-in-place pipe lining services are required to restore the functionality of the pipe, we can take the necessary steps to complete these repairs quickly and reliably. Hydro jetting also extends the lifespan of your sewer system by allowing our experts to remove waste accumulation and clogs while they are still small before major, expensive accidents occur. At Pipe Surgeons, we are also proud to offer Hollywood, FL homeowners drain cleaning services on an annual basis in order to maintain their pipes and keep them working properly for a longer period of time. Scheduling a cleaning and maintenance check-up for your building’s sewer pipeline system keeps your home clean and secure from major accidents as a result of deep rooted tree roots or clogs in the pipes. Contact our team at Pipe Surgeons to learn more about how we can assist you and we will be happy to help.